Airtel provides Huawei Home Gateway HG630a router/modem for v-fiber. Airtel charges Rs 1000 for this modem (billed at Rs 200/month in 5 installments). 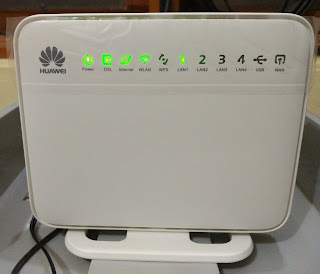 But then you can work around this WiFi setup limitation by connecting Huawei modem to your own WiFi router.